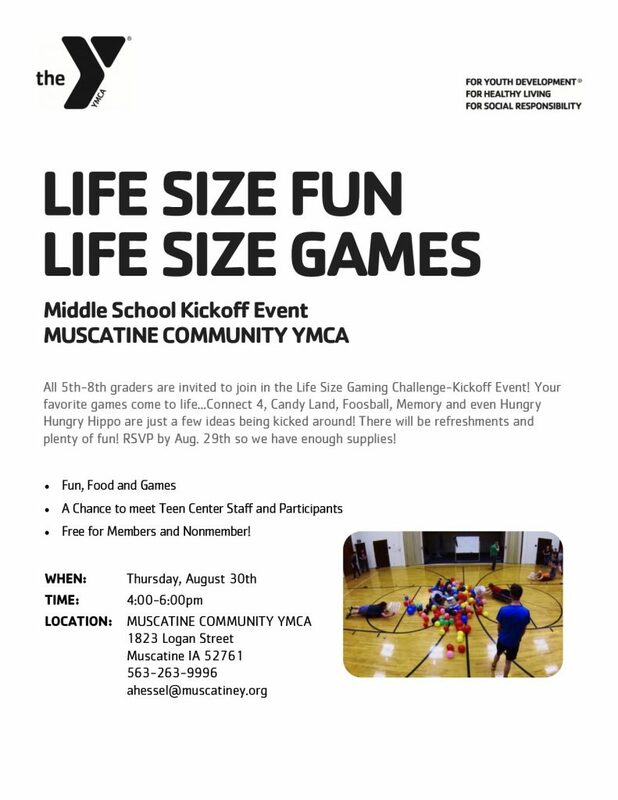 Description: The Muscatine Community YMCA will be hosting a Middle School Kickoff Event- Life Size Gaming Challenge on Thursday, Aug. 30th 4-6pm. The Event is free for members and nonmembers. Fun, Food and Games. Foosball, Hungry Hungry Hippos, Connect 4, and Candy Land are just a few ideas being kicked around. RSVP to the Y at 263-9996 to join in the fun. For more information contact Amy Hessel at the Y!